Have You Heard of a Frost Quake Before? 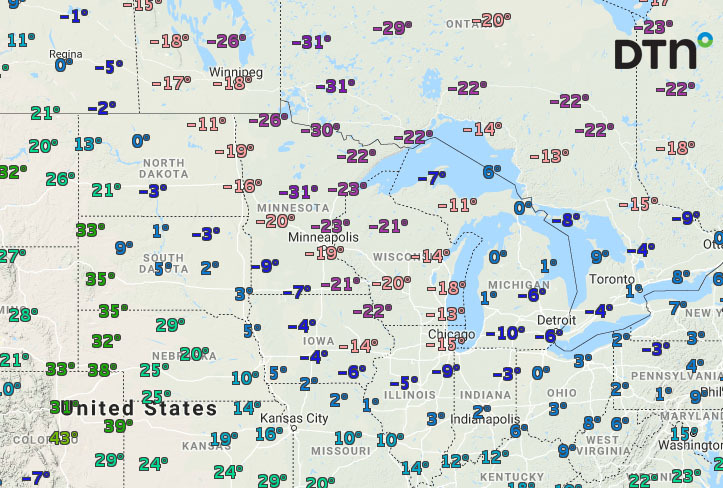 The polar plunge is continuing across portions of the country, producing dangerously low wind chills. The cold temperatures are also causing a phenomenon known as frost quakes. People in portions of the Midwest have recently been observing loud noises described as banging sounds or loud booms. If you have heard this, it may be a frost quake, also known as cryoseisms. Rapid drops in temperature cause these quakes. As water in the ground freezes, it also expands. With the expansion, pressure increases around the frozen soil and rocks nearby. This increased pressure can cause rocks to break underground, creating the loud noises that many reported. The frost quakes usually occur within a few hours of a sudden temperature drop. Vibrations caused by a frost quake are generally weaker than an actual earthquake. Most of these quakes are very brief, but some can last several minutes. They can also occasionally register on a seismograph. 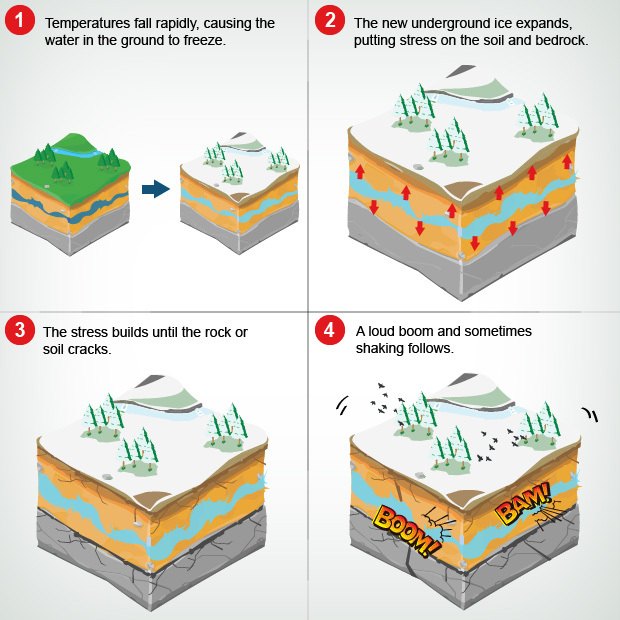 Frost quakes can occur when the ground is saturated, there is very little to no snow cover, and there is a rapid temperature drop. They aren't especially frequent, but there have been other documented instances of them in Indiana, Iowa, Kansas, Pennsylvania, and Wisconsin. The areas where the recent quakes occurred are still below zero or in the single digits. While rare, frost quakes can happen when the temperature drops rapidly in a short amount of time. If you've experienced the cold (and frost quakes) over the past few days, a warm-up is in sight; many areas that have recently been below zero will be in the 30s and 40s by the weekend.